Off Road Suspension Package, Spray-On Bed Liner, Driver and Front Passenger Heated Seats, 6-inch Rectangular Chromed Tubular Assist Steps! 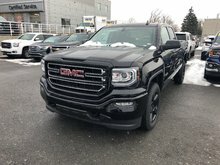 GMC's winter sales event now on! 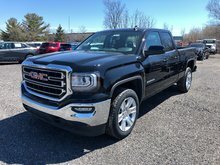 With a taller height, better technology, and massive power, this all new 2019 GMC Sierra 1500 elevates your ride in more ways than one. This deep mahogany 4X4 pickup has an automatic transmission and is powered by a 5.3L V8 16V GDI OHV engine. 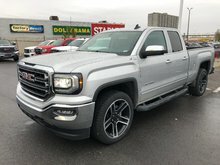 With that effortless motor it gets 15.8 L/100 km in the city and 11.4 L/100 km out on the highway according to Transport Canada. 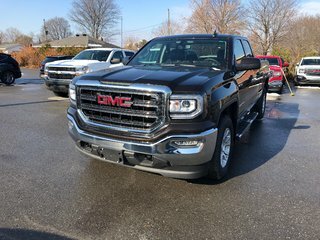 This vehicle has been upgraded with the following features: Off Road Suspension Package, Spray-on Bed Liner, Driver And Front Passenger Heated Seats, 6-inch Rectangular Chromed Tubular Assist Steps. Total rebate of $5000 is reflected in the price. Credit includes $3000 Delivery Allowance and $2000 Non-Stackable Cash Purchase Assist. Credit is available in lieu of subvented financing rates. Buy this vehicle now for the lowest bi-weekly payment of $344.61 with $0 down for 84 months @ 5.79% APR O.A.C. ( Plus applicable taxes - All Additional Fees included ). Incentives expire 2019-02-28. See dealer for details. 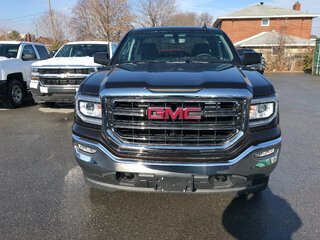 5.3L EcoTec3 V8 with Active Fuel Management - 8 cyl. 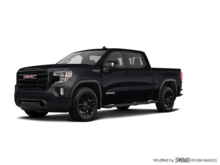 Interested in the 2019 GMC SIERRA LIMITED 1500 SLE ? $43,619 * Plus HST and licensing. Freight & Fees Included. $53,199 * Plus HST and licensing. Freight & Fees Included. $49,744 * Plus HST and licensing. Freight & Fees Included.